In 1981, Nintendo brought us Donkey Kong, the story of an Italian-American Brooklynite name Mario in his quest to save an unknown woman from a gorilla. He returned in 1982’s Donkey Kong Jr, this time as the antagonist. In 1983, Mario brought his brother Luigi along for the ride in Mario Bros, firmly establishing that they were both plumbers. This was the first video game I ever received that was mine, which I was allowed to play on my sister’s Atari 2600. It wasn’t that great, but it set things up. In 1985, things got super. Super Mario Bros changed everything. Video games went from something I did for fun when I couldn’t go outside to play to what I waited to play all day long while I was at school. Everyone was obsessed with Mario and if you had a Sega Master System and thought that made you different, cool, a loner, or above the crowd, I’m sorry to tell you, you’re wrong. You were wrong then, and you’re still wrong now. 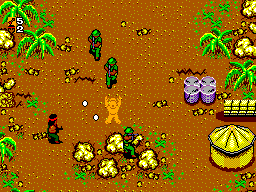 (That Rambo game it came with was OK, but it was repetitive and the two player mode was glitchy as hell.) I’d tell you to ask your childhood friends, but you didn’t have any, did you? That’s because no one wanted to play with you, because you had a Sega Master System – or you were the smelly kid. Every game to bear ‘Super Mario’ in its name has been great; bare none. Some are better than others, but every single title captured our imagination in a way no other franchise ever has or will. Mario is so relatable because he’s not your typical hero, he’s a plumber with a beer belly. 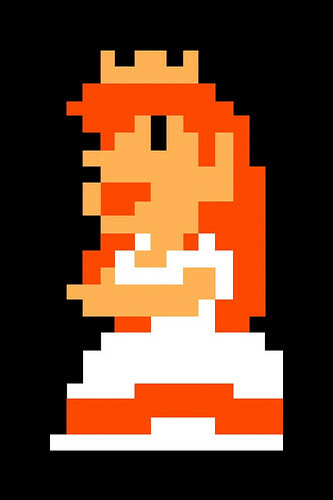 Mario might be the perfect American hero: he’s an immigrant (I guess; when he started talking, the stereotypical accent came out), he owns his own business, and he always saves the Princess – accept when she’s in another castle. Women, huh? She can’t ever seem to stay saved, either – despite the ability to levitate! Posted on September 27, 2010, in observations and tagged atari 2600, coleco vision, donkey kong, donkey kong jr, mario bros, nes, our princess is in another castle, rambo, sega master system, super mario bros, super mario turns 25. Bookmark the permalink. 1 Comment.